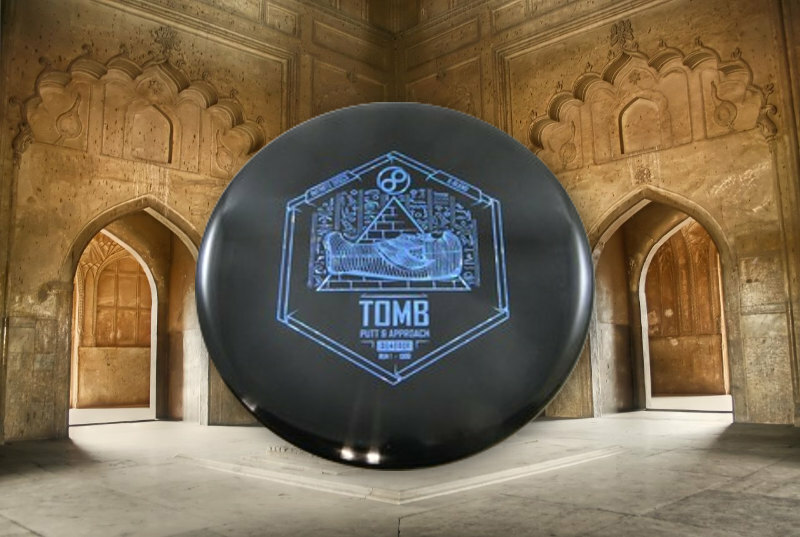 The third mold released by Infinite Discs is the Pharaoh, a high-speed driver built for distance. Offered in the swirly S-Blend plastic, this might be the answer for your driving needs. Initially released in the swirly S-Blend plastic the Pharaoh has a comfortable feel in the hand especially considering the large diameter rim. The swirly S-Blend is a little softer than regular Star plastic and a little softer than the S-Blend used in the Exodus. 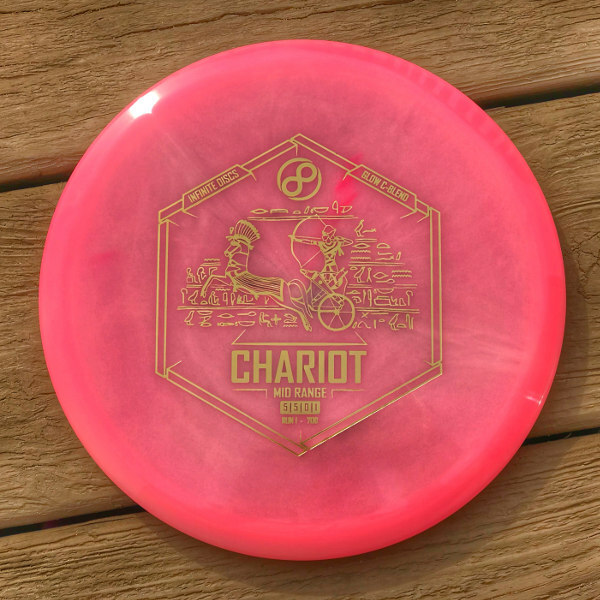 The C-Blend Pharaoh feels like Innova’s champion plastic but isn’t as firm as some other molds. I wouldn’t call it gummy either, but the difference is noticeable. Also, more importantly, the C-Blend Pharaoh I tested is significantly more domed and exhibits quite a heartbeat, pop top sound. The I-Blend Pharaoh feels great and is shaped very similarly to the original S-Blend. Simply put, this is the longest straight-line disc I’ve ever thrown. 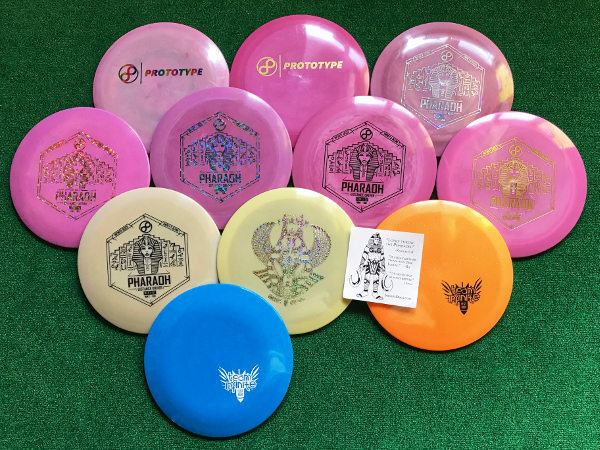 A lot of people have compared this to the Discmania DDX and the Innova Shryke, both of which make sense based on the flight numbers and rim shape. For my arm speed, the Shryke throws really well if I have enough room for the turn to work back into fade. So the Shryke does well in a wide-open field but is also a little tough to manage into the wind. I have thrown a few Shrykes that are more stable, but the majority of them fly around 350′ for me with a lot of horizontal travel. The DDX tends to fly a little shorter because it doesn’t have as much flip for my hyzer release. I get about 340′ on a normal pull with the DDX. It is worth noting that the DDX isn’t a comfortable feel in the hand for me – it has a little bit of a sharp edge at the bottom of the rim. Because of this feature, I had planned to use the Dynamic Discs Trespass as my main driver this season. 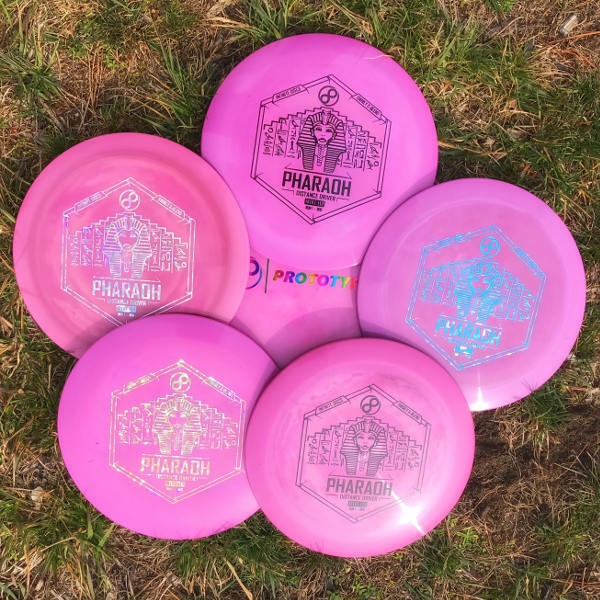 And then Infinite Discs introduced the Pharaoh. This driver flies a lot like a newer Fuzion Trespass for me – that is it sits right between the DDX and Shryke in high speed stability but offers a more forgiving low speed stability at the end of its flight. In fact, the fade is really a forward pushing fade that turns into a nice forward skip on most flat line throws for me. It also has a lot of glide. 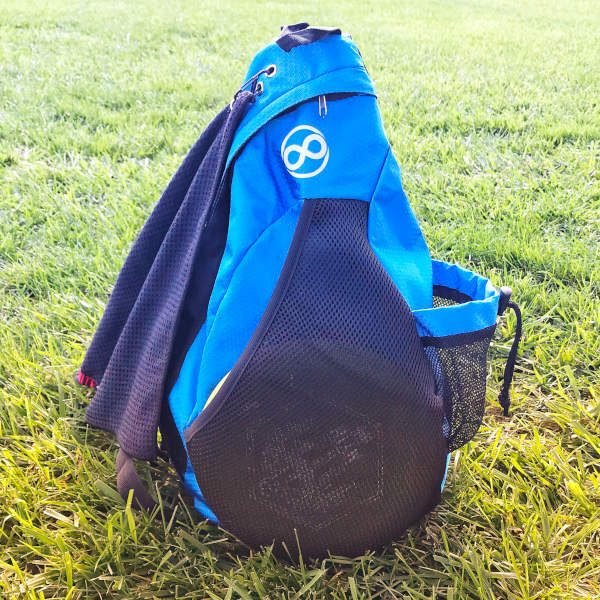 This is the first disc that I’ve been able to throw over 400′ on flat ground on a golf line. I average around 380′ with it, which is 15-20′ past the Trespass every time. So my normal throw with the Pharaoh is a long hyzer flip that stays pretty straight for most of its flight. On an anhyzer line, the fade kicks in at the right time to allow for a nice long turnover drive. 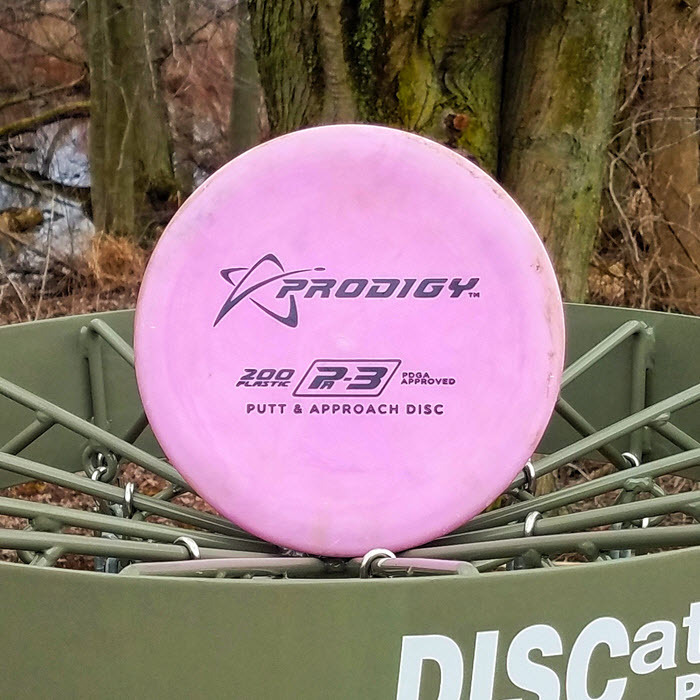 On a steep hyzer line, the Pharaoh will hold up fairly well for me, but I carry a different disc for that shot and I’d recommend the same for you. This driver also throws well with both a headwind and a taily. My Trespass gets a little inconsistent when playing in gusty wind conditions. The Pharaoh has held up well and I haven’t had any throws fly off in the wrong direction. In C-Blend plastic, the domed flight plate seems to give more glide and more turn. Out of the box I was able to hit more S-Curve lines with the C-Blend Pharaoh. The combination of glide and turn allowed for some increased distance as well. I am concerned that the C-Blend will continue to break in to a turnover disc, but I won’t know for a while as this plastic doesn’t break in as quickly. The I-Blend Pharaoh throws similar to a gently used S-Blend with a little more grip. I seem to get a little more turn with this plastic as well. Go buy one! Or just leave them all for me to buy up. Seriously though, the Pharaoh is what I had hoped the DDX would be. It feels great and flies far. This is going in my bag for a while! If you have a bigger arm and are concerned about the -1 turn, note that Garret Gurthie is throwing the Pharaoh. 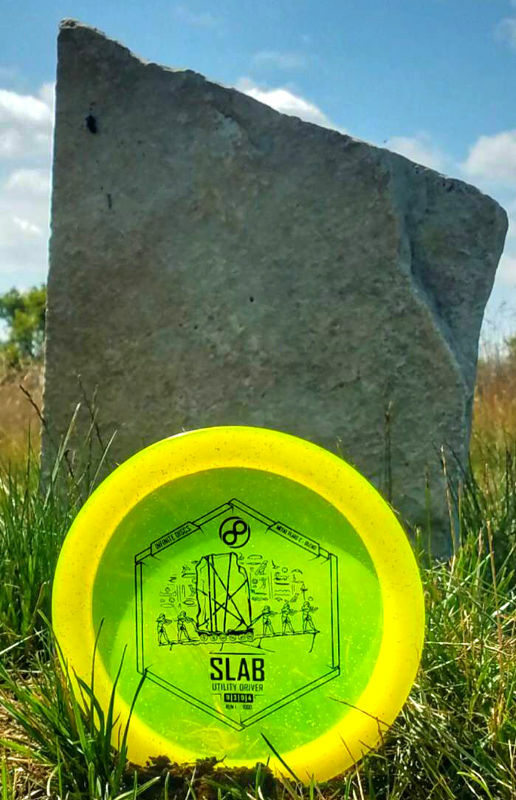 In fact, this is now a signature disc for the longest thrower you may not have heard of. The linked article has a video of him launching the Pharaoh over 600′. Are you ready to try one for yourself? Check out your color and weight options here!